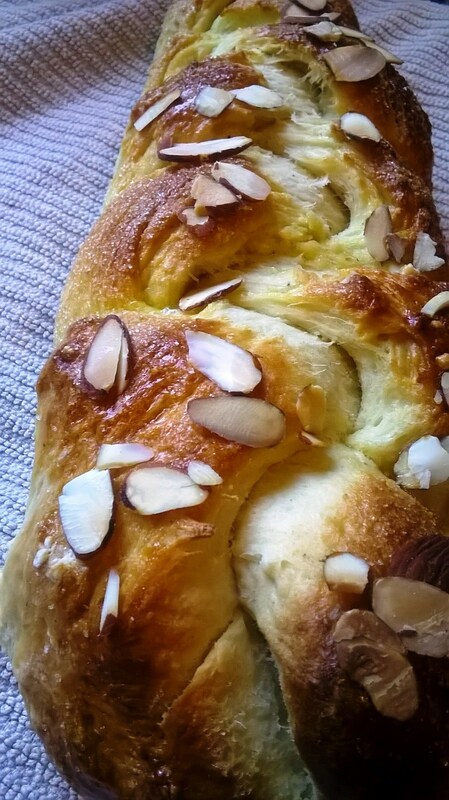 There's really no better way to start out a long overdue post than with a gratuitous, doughy, almond covered braided bread picture, is there? Now then, we can talk about what I've been doing over the holidays thus far. I took last week and this week off for vacation, which, as it turns out, was an incredibly wise and rewarding thing to do. I didn't have plans to go anywhere tropical (which would've obviously been amazing), but I really just needed the down time, a chance to relax, focus on family, friends and looking forward. I spent my first free Monday cleaning up and prepping for the trip to Bellingham, where I spent the remainder of my week with my big sister Kate, rad Brother-in-Law, Nathan, and my two monsters, Riley and Beckett (the best nephews I could ask for). Tuesday morning came early and I hit the ground running even earlier than I would for a regular work day. Taking the train is a great way to travel up and down the Washington Coast. I've done it many times this year and it just never gets old. There's something oddly romantic about walking through my city before dawn, taking the light rail (our version of the L/subway/tube, albeit a poor excuse) to the renovated King Street Station and then watching the Olympic Mountains wake up to a sun-kissed skyline while you zip along the waterline. 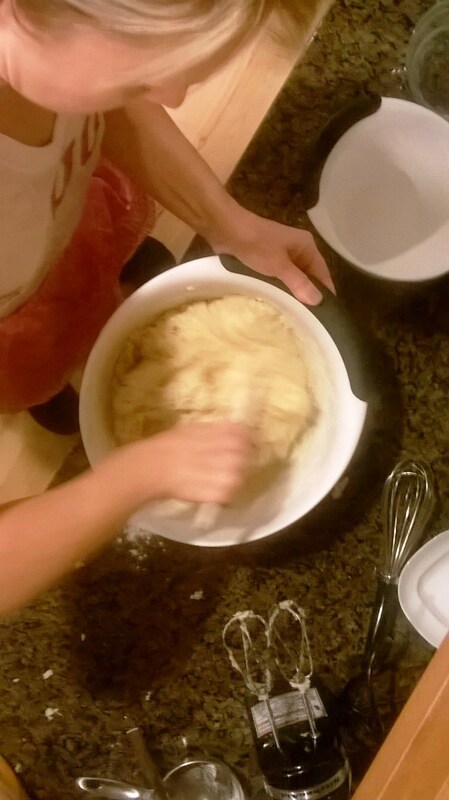 One of the first things that took place upon my arrival, when my sister picked me up from the station, is that she started in on the annual Finnish Christmas Bread making festivities. This is a generations old recipe from our dad's side of the family. My mom used to make it when we were little, and I don't really know the true origin (was it something from a cookbook or did our great-grandmother create it from scratch?). Many/most of the pictures I took with my camera phone have a haze on them from the week. I would tell you that this is from smudgy cooking fingers touching the lens (which, technically, is true) but we're going to just call it the "Holiday Glamour Shots" effect and hope you get used to it. Sound good? Here we have my big sister, Kate, in all her Cougs glory (gross. GO DUCKS!) whipping up the first batch of batter. She made two whole batches, yielding a total of 7 loaves - 3 regular/large and 4 smaller. Funny enough, the past 2 years I have just watched and given a bit of feedback from the sidelines, but haven't laid a finger on the actual baking of this. She's a bread making machine, folks. She does it mostly old school, by hand. And when the electric mixer was busted out, it didn't really go the way we wanted it to, so sometimes old school is best! What you're not seeing here is dough flinging all over the kitchen when we used the electric mixer for a bit. FAIL. Also, I took a video of this and I have no idea what happened to it. It probably wasn't great quality anyway, so I'll try again next time! She got them all shaped up after the dough went through its single rest and rise cycle. 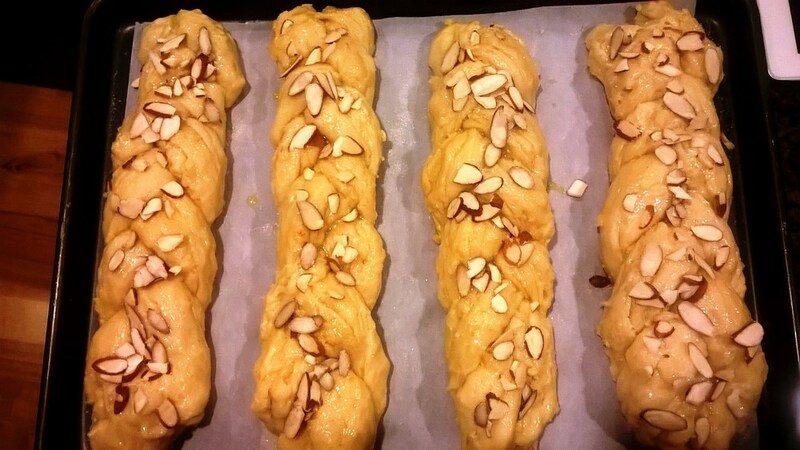 Then separate, braid, egg wash and slivered almonds, onto dry parchment. Not that it'd have ANY impact on the flavor. She sprinkles them with a bit or granulated sugar before baking. I don't even think I have the recipe to be honest - that's bad, right?! I should get it from her....not sure I'm ready to share it with everyone yet or not. The bread is medium to dense in body, but the consistency is similar to challah, even though it's not as sweet. My favorite way to enjoy it is toasted with a little salted butter to balance the sweetness of the sugared top. While all of this was going on, of course I had to buy ingredients for the dish I was taking to the Christmas Eve event we attended in Canada. That's right, we peaced out and crossed the border. I did this last year as well and it was a blast. My brother-in-law, Nathan, is a dual citizen and has family on both sides. Since they live so close to the border, it's easy to see that whole side of his family. I was excited to graciously accept an invitation again this year to attend along with them. 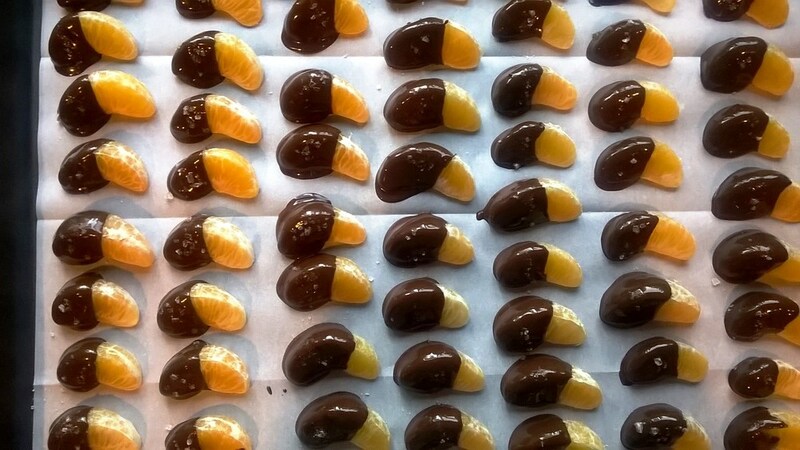 I'd seen a great make ahead dish from some friends last week and borrowed the idea: dark chocolate dipped Clementine (satsuma, cuties, whatever) dusted with sea salt. This is a super easy dish to do and works great for any event. Simply peel and remove the pith, make sure you don't rupture the segments. Melt dark chocolate chips in a double boiler, lay on parchment, dust with sea salt, pop in the fridge for 15 minutes. Then either arrange in a very carefully laid out concentric circle (OCD much?) or run out of time and dump onto a plate like popcorn. I recommend the latter because people ate them just like popcorn. They were gone by the time dinner was served. Just enough sweet, salty and a tad tart. Better than just chocolates and no need for holiday guilt. So we all packed into one car with Nathan's sister, Marla and her wonderful boyfriend, Mike. Beckett and Riley were entertaining as always. We arrived just in time to see the sunset from the back deck. What an incredible way to spend the holiday! Nathan's family is full of fantastic cooks and we were all swapping ideas throughout the evening, while stuffing our faces. My favorite new combination was this incredible ham (and there were cracklin's I will not publicly admit to eating when no one was looking) paired with a pineapple bread pudding Nathan's aunt Donna made. Sounds unlikely, but the bread pudding was savory enough to pair really well with the ham. They had this incredible REAL tree flocked and dotted with snowy owls. Yes, this tree is REAL!!!! This picture does it no justice. But it was absolutely beautiful! And front and center you can see more treats, ALL homemade by the various aunts and moms. And at the end of the night, the "Holiday Glamour Shot" effect was even more prevalent. Here we have Riley on the far left, Nathan's cousin Aaron, me, Nathan's sister Marla, and other cousin Becky. What a fun crowd! Aaron had brought along this incredible 2005 Zinfandel from Turley and a handful of us snuck away to the kitchen and shared it while talking about other recent great bottles we'd had over the course of 2014. Then we all packed back into the car and Beckett conked out. He's just the most precious. Christmas morning came all too soon and the boys were obviously beside themselves. They busted in my room gasp-talking about Santa and the cookie plate. I had a video of that too, but no idea what happened to it.... darn it! The grown ups had blood orange mimosas and the boys had legos. LOTS of legos. I got some cuddle time with the original PG puppy nephew, Thatcher. We spent the whole day in our PJs. Breakfast was sweet potato hash with soft-boiled eggs and sausages. Yes. The next day we headed to see my mom and that side of the family. My mom made her classic Sausage bread, which I think I posted about last year, so if you want to see it, just search around...it's gone so fast I didn't even get a picture. But, I did get a good one with my mom before I left (and for the record, I am leaning down here... she is tiny, and I am an Amazon human). And of course I made sure to get some blurry shots with the boys, who REFUSE to hold still, so I tickle them instead. Seems like a fair trade, no? I had a wonderful relaxing weekend full of friends, sweat pants and lazy mornings. The weather is amazing in Seattle, and I've been running - it has briefly snowed twice while I'm on my runs (nothing but a dusting in the sky for 5-10 minutes, but enough to notice, throw your head back and let the snowflakes grace your eyelashes). Lots of sleeping in and then powering through the days, working on the To Do Lists. More to come, after the New Year hits. Hope you're enjoying the final days of this year. See you next year!